21.0 Do You Have My Copy of Human Revolution Still? 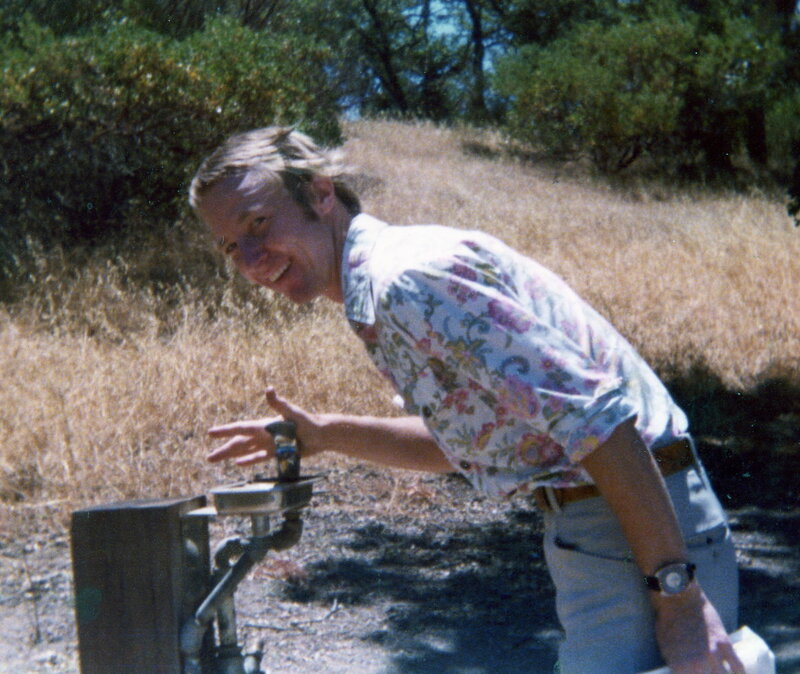 In 1977, a young man named James Stephens came into view. James was born in beautiful downtown Burbank. He and his younger brother were raised mostly in Montana. In 1967, his family moved back to southern California when he was a junior in high school. His father ran a Mobil Service Station on the corner of Westwood and Santa Monica Boulevard, the corner I used to exit from the bus when returning from University High. While our times did coincide on that corner, no we never met. 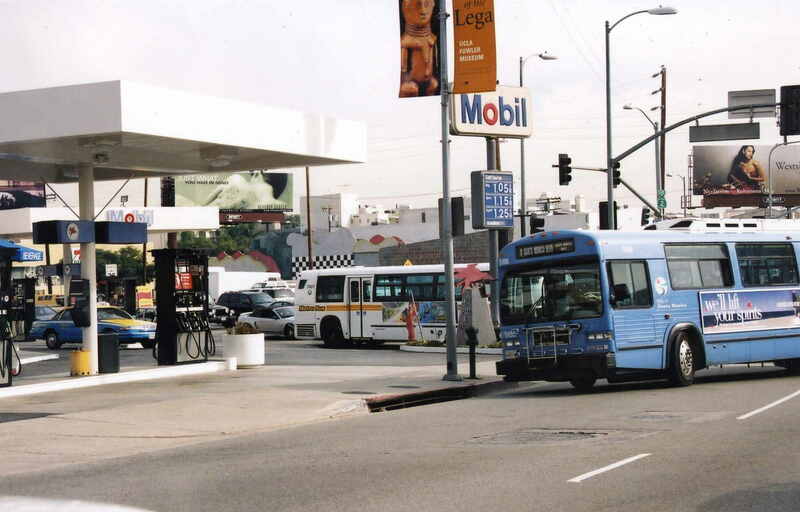 James’ Father’s Mobil Station at the corner of Westwood and Santa Monica where I got off the bus. (This is a newer photo of course). His father, Carlton was from Texas and his mother, Alice was from Toluca Lake, California. One summer day when Carlton was nineteen, he and a friend hopped a train to earn their fortune in California. He ended up joining the army and after the war swept Alice off her feet. I found it interesting that James’ parents and my parents were married within 15 days of each other. James’ parents married in Las Vegas at the Hitching Post on 7.31.49 and my parents in Israel on 8.15.49. 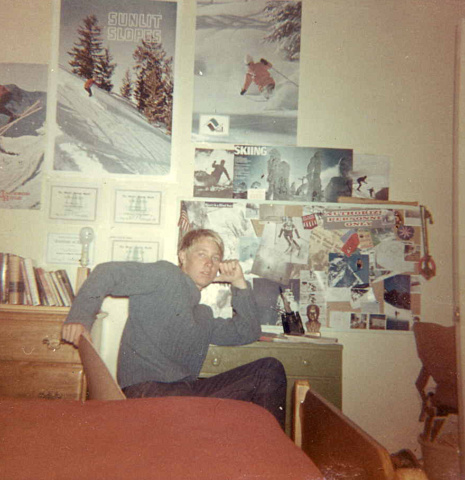 In 1969, James had gone away to the University of Montana, but was homesick and returned to Los Angeles and started school at California State University at Northridge. One day in May, when he was 19 he came home to find that his mother and brother had left without a word, abruptly ending a 20 year marriage. This sent Carlton into despair and James as a responsible elder son was burdened with the new responsibility for the stability of himself and his father. The next few years were very rocky and difficult. James had thrown himself into his Buddhist practice and had become a chapter youth division leader while working part time and attending college. James with members meeting NSA General Director Williams after a seminar at CSUN. 1973 James playing bass clarinet in Japan at the Sho Hondo Convention. He and another friend Scott Ferguson had started a literary group and were working their way through Dostevsky, Hemingway, London, Bronte and other classics when he decided he wanted to start another group with Bruce which would read through the works of Daisaku Ikeda, the President of Soka Gakkai International, the Buddhist sect we belonged to. Only one problem, he didn’t have the first couple of volumes of Ikeda’s life story, The Human Revolution. He was what I would call faithy and very involved in the movement. It all started at a New Years Eve party. One of my members was speaking with James and she had promised him a book. As it happened my member had some other problems and could not let go of the promise she had made of the loaning of this book. To sooth her, I said I would take care of it. So I ended up loaning the book to James and thought nothing much of the exchange. However, I am detail oriented and after several months I wanted my book back. James said he would bring it to the next headquarters’ meeting, but I was not there and when I saw him the next time, he did not have it. This back and forth transaction went on for quite sometime. Occasionally, we would talk on the phone, and once we had an enjoyable two hour conversation. I invited him to our district’s picnic, but later he said he felt pressured. I was not into any pressure I was just being friendly. Evidently, he was interested in one of my members, but was busy starting his own landscape business with his Dad. Finally, one night he called and said he would stop by after a meeting and drop off the book. I said great. Darlene, one of my members and I had just gone to a furniture store and brought back a new leather couch. I had meetings at my apartment, wherever I lived and was always having people coming and going. James was late and Darlene had to leave. When James finally stopped by, he politely stood in the doorway and handed me the book. I knew he had to drive to the San Fernando Valley, so I was hospitable and asked him if he would like a cup of coffee before he drove over the hill back to the Valley about 45 minutes away. He teetered on a decision but said yes and came in. Well, we ended up talking throughout the night and found we had much in common. We’d both been Buddhist senior leaders in the youth division for a number of years and were experiencing some freedom during what had become known as Phase II. For years, the youth division was militantly spreading Buddhism fighting for Kosenrufu (world peace through the propagation of Buddhism) and members of the Young Men’s Division and Young Woman’s Division while often sizing one another up while passing each other at Koteketai (young women’s fife and drum corps) and Brass Band (young men’s band group) practices, kept their distance according to an unwritten code. Many young men and women now had time to think about having a life besides the Gakkai. That night James and I broached the subject of marriage and it seemed like the door opened quite naturally for our relationship. We started seeing one another more frequently and when he’d drive over the hill after seeing me in Santa Monica, would sweetly call me to let me know he arrived home safely. One night, after he arrived home, he called me and the phone kept ringing and ringing. He was so worried that windy night, that maybe the gas had gone out on my pilot and that I was being asphyxiated. So he drove all the way back and knocked on my door until I got up and answered it. He was so worried. I didn’t even think to tell him that I am a very sound sleeper, to which he can attest to this day. He’s just the opposite. It didn’t take us long to realize that we wanted to get married and both decided to make a commitment of chanting a million daimoku (the chant) to make sure this union would be lasting. Probably in other religions it would be the equivalent to taking a very long journey together. Next we would live together and work out all the details. How excited we both were. It was like having a new family, a mate, I was in shock. All that was left to do was to get guidance. All the members would have to talk to their leaders every so often to stay in touch. However both of our leaders told us not to move in together. What was so odd was we would find out later this was a double standard. They were all living with others, but we couldn’t? We did what was recommended and planned to set the highest standard and wait to move in with one another. We actually would go into meetings holding hands and that was not done either, there were a lot of secrets going on. Everyone would cover up their affection, but we would have it out in the open. One night he was going to come over after one of our chapter leaders came over to talk to me about my future plans. James was waiting until they left and had taken a short walk. As he was walking down the street in his sandals, he stepped on a nail which penetrated his heal. He pulled it out and walked over to the local emergency room and called me after he got a tetanus shot. Afterwards, I met him in the emergency room and helped him back to my apartment. Strangely, that night he proposed to me. When he got down on his knee and asked me to marry him, I told him no. He was surprised and said, “You’ve got to be kidding.” I smiled and said, “Yes, of course!” Then we set a date. It was very difficult to do hours and hours of chanting, but we had a goal and we were going for the gold, the completion. I was able to go to Japan for the third time with a friend, Linda. In 1977, Linda, a Buddhist friend and I went to Japan. There we met other members at the temple. After returning home to Santa Monica, I was on a fast track getting everything arranged as I did not have anyone to rely upon, but myself and the members in my chapter. Linda decided to throw me a wedding shower which was so very sweet of her as my good friend. We still keep in touch even after all these years. Here’s a few photos of the wedding shower.